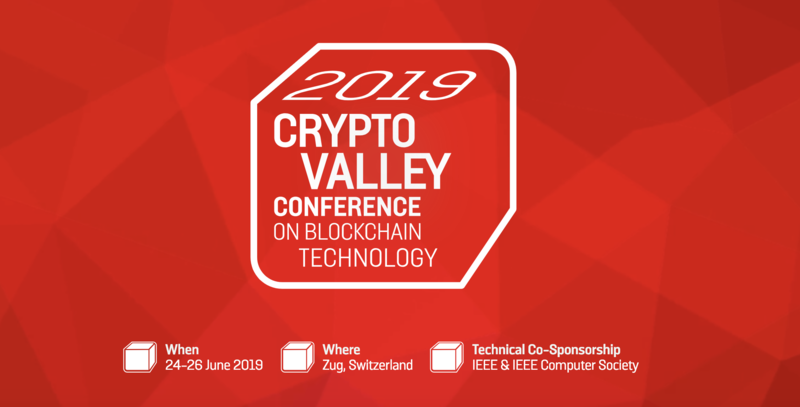 The “Economic and Financial Track” of the 2019 Crypto Valley Conference will bring together scholars, regulators and practitioners interested in exploring opportunities and risks of emerging blockchain-based systems and distributed Ledger technologies. The aim is to merge the gap between academics, technologists, policy makers and regulators engaged in the new field of distributed and peer-to-peer systems, by providing a unique cross-sectoral perspective which allows to exhaustively address questions of practical importance from an economic, financial and business perspective. Full papers must be submitted in PDF format. The deadline for submission is midnight GMT 15th April, 2019. Submitted papers will be blindly reviewed by the Crypto Valley Scientific Committee for the Economic and Financial Track. Any mention of the author’s names or affiliations should be removed from the submitted paper.